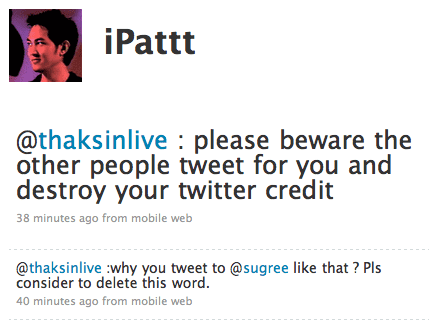 @sugree เจอ @thaksinlive ด่าและลบคำด่าในเวลาต่อมา ! 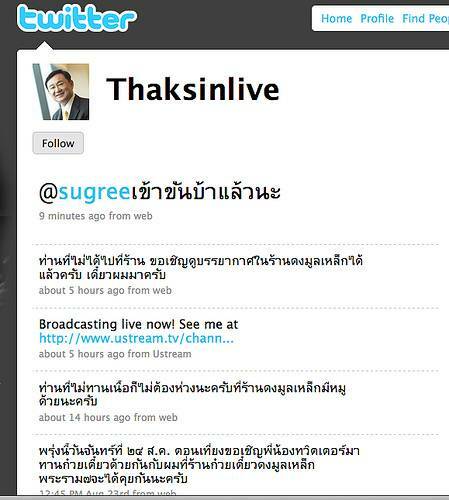 @thaksinlive :why you tweet to @sugree like that ? Pls consider to delete this word.